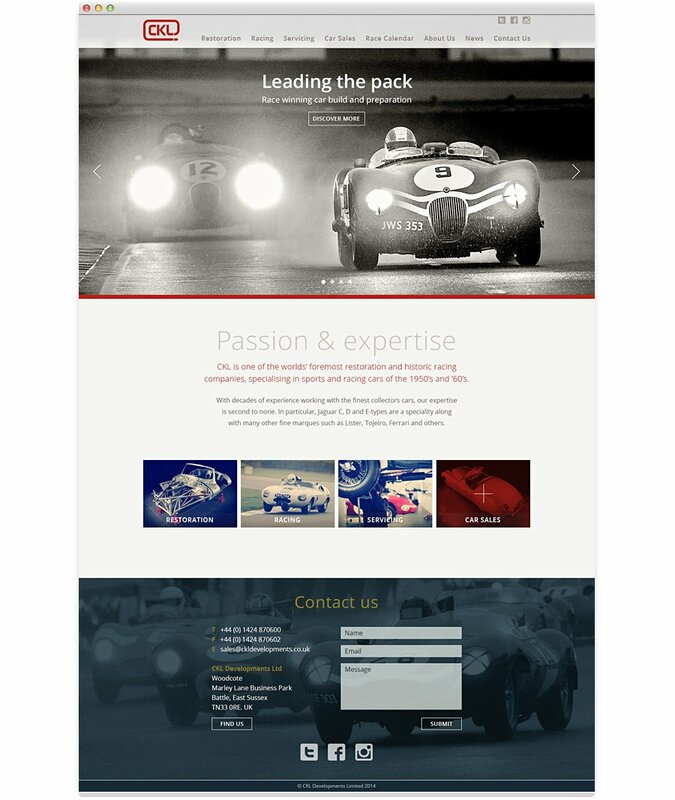 CKL Developments is one of the worlds’ foremost restoration and historic racing companies, specialising in sports and racing cars of the 1950’s and ’60’s. With decades of experience working with the finest collectors cars, their expertise is second to none. In particular, Jaguar C, D and E-types are a speciality along with many other fine marques such as Ferrari, Lister, Tojeiro and Cooper. We were delighted to be asked to produce their website. Our first meeting with them literally blew us away. The CKL Developments ‘workshop’ was a pristine state of the art centre of excellence, not a random oily nut in sight. We were keen to demonstrate this in their website with a very clean interface, but also the site needed to echo the heritage of the subject matter. 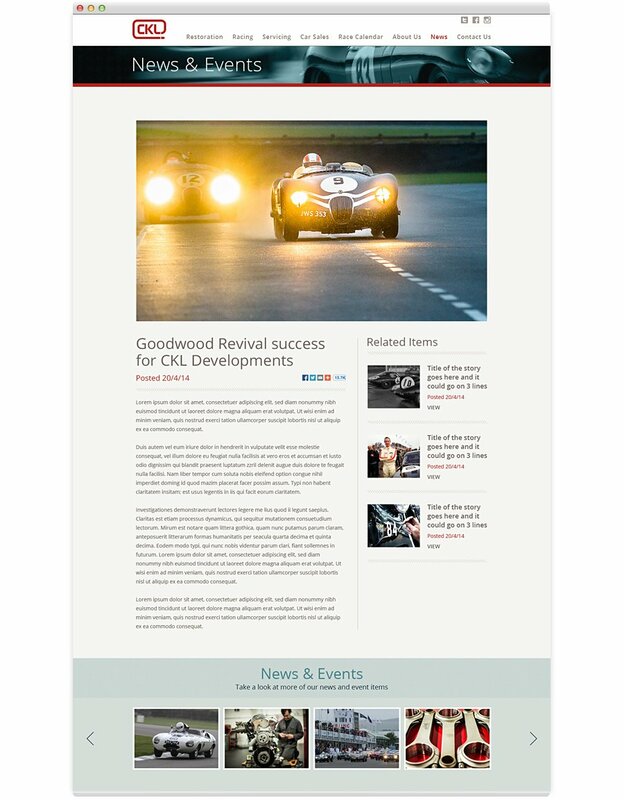 The site is designed to showcase their passion and expertise in classic car restoration as well as act as a hub for their car sales and race meets.